A decade ago the safety of lives and operations at Prague Airport lay solely in the hands of individuals. Today the procedures and commonplace practices are quite different. 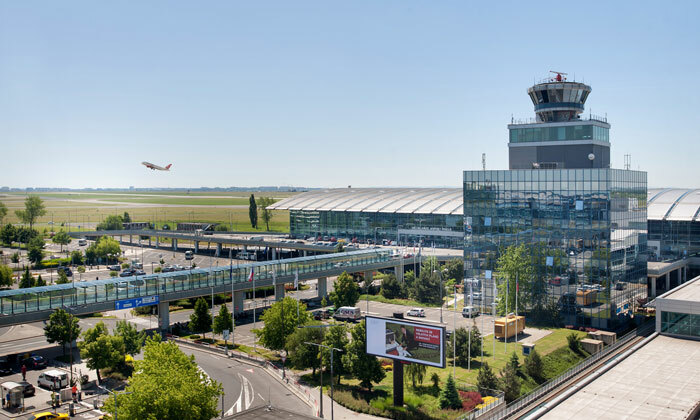 In this article for International Airport Review Libor Kurzweil, Safety Manager at Prague Airport, writes about the implementation of the Safety Managment System (SMS) at Prague Ruzyne International Airport and demonstrates how it benefits their daily operations. The year was 2007. Then known as Prague Ruzyně International Airport, it was experiencing one of the busiest years in its history. The bread and butter of us – those planning and performing the airport’s operations – were dealing with the aspects of operational safety from A to Z in the course of our own projects and decision-making. It seemed natural and right to us. There was a well-functioning Local Runway Safety Team, and there was good communication both inside the company and with external organisations with regard to safety issues. We were managing our work successfully, and the airport was being operated safely despite the high increases in traffic figures. Problems with the operational safety of the airport were not even raised by external voices in Europe and around the world. There was therefore no particular reason to change anything. However, change did come. We learned about the requirements for the implementation of a new Safety Management System (SMS) from the amendments to the ICAO Annexes that were published at the time and from the first edition of Doc. 9859, Safety Management Manual. Although the preparations for the implementation of the SMS began immediately, the actual implementation of the system was quite slow. This was mainly due to the fact that it was an entirely new concept for us, and people were not confident of how and where to incorporate the emerging division. However, the end result was successful and the benefit of having a fresh pair of eyes on the situation was extremely valuable. It seemed unnatural to us at the time, but today we consider it indispensable. Due to the requirement for the SMS to be independent of the operation, it was decided that the new department should be positioned at the neighbours in the security division, which thus broadened its sphere of activity by including Safety on top of Security. The resultant Safety Department has thus managed to serve well for many years. Today, its independence is strengthened to the maximum, because it is directly subordinate to the highest representative of the company. The SMS then and now: what has changed? As aforementioned, a lot of aspects that impact on safety worked independently at the airport, naturally and intuitively. Far less was documented and people from operations were thus able to manage the actual operational safety in addition to their main job of planning and performing the airport operations even before the emergence of the SMS. The bureaucracy did not waste time, and it was possible to better focus on the essence of the planned changes; to revise thoroughly and prepare them well. In order to achieve the same result today while complying with the legislation would involve far more people, more forms and checklists and the processes and approval times would be incomparably longer. With the arrival of new European regulations and the EASA (European Aviation Safety Agency), the amount of office work continues to increase. I’m not afraid to say that the SMS was a burden for the airport at first. People who were accustomed to working independently and judging whether their outputs are safe on their own suddenly had someone next to them who reserved the right to supervise and control them and to ask questions and expect answers. On top of that, this was at a time when the SMS did not have the effect it does today. The SMS imposed conditions and new responsibilities on people in operations, it held them off at work, and it gave recommendations or directly prohibited changes. That was probably the main reason that it took such a long time for the SMS to build a well-established position in every organisation. I consider today’s situation to be far better. The SMS has managed to collect large amounts of data, knowledge and experience, and today it can therefore provide a valuable service in addition to the aforementioned – a service whose customer is the operations department. 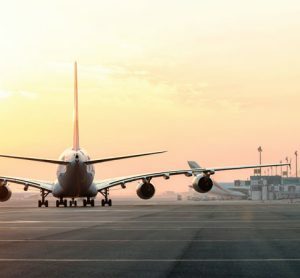 The operation of an airport brings with it many situations that make it difficult, if not impossible, to fulfil every requirement necessitated by international law, the national regulator, and aircraft manufacturers etc. In situations where there is, for example, a large building site at the airport and it is necessary to establish a temporary taxi route with reduced separation distances, the SMS is a tool that enables operations to be maintained. The SMS can accurately assess the risk and recommend replacement safety barriers that can temporarily compensate for a deviation from the regulations, and ultimately enable the airport operator to prove not only to them, but also to the regulator, that such an operation will be safe. In such circumstances it proves itself a real asset for operations. This is particularly true today because, unlike previously, the SMS now serves the operational department with not one, but both of its hands. One of its hands is the strict controlling one, and the other is a helping hand. 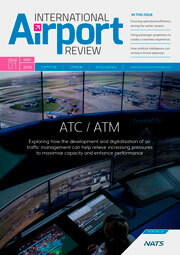 Another facet that has changed a lot is the approach of all employees at the airport to operational safety. When the voluntary safety reporting system was being introduced, nobody reported anything. In today’s system of safety reporting, however, it is conspicuous to notice how the staff pay attention to and report the smallest things. The situation is similar with Foreign Object Damage (FOD) prevention. Everyone already knows what caused the crash of Concorde and are therefore aware of the risks associated with FOD in the course of daily operations. People have learned to create less clutter, and they are also no longer completely indifferent to the garbage generated by others around them. The SMS must always be close to people, and that’s why we have learned to put a lot of effort into promotion and prevention. We wager that the time invested in prevention will be compensated by the time saved on investigating the causes of incidents. We started with cartoons, because the drawn images, which are occasionally even funny, are effective in attracting people and drawing them in. The promotion using images paid off in manifold ways. Today, people have enough written regulations, directives and procedures laid out for them. While we cannot completely omit the necessity for employees to become familiar with official documents, we do try to minimise it, and we complement it fittingly with a popular form of communication that repeats what is most important. It has been confirmed that the brain willingly accepts a message in this form, as it is natural and easy to relate to. We also adopted the responsibility of keeping together the national community of people interested in safety. Every November, we organise a safety conference for 130 experts from Czech and Slovak airports, airlines, air traffic control, authorities, ministries, universities and industry. The conference developed from what was originally a small safety seminar. The central topic is always the news from the field and the exchange of experience among the airports, and it all works well despite the fact that we are actually competitors. Safety is a greater uniting goal, and that’s what matters. Did the SMS contribute to greater safety? I firmly believe that it did. Human error can happen easily, and it is therefore good that at least four eyes now oversee operational safety instead of two. Armed with several perspectives gives greater certainty about making correct decisions; it also provides more opinions and, therefore, more possible solutions. Over the many years since the SMS was implemented, it has collected more data than had ever been compiled before. The statistics on the number of different events are just a small way in which such data can be used today. It is now possible to observe how some operational risks are receding into the background and to identify others that begin to arise. The database is a repository of past experience that helps us in our frequent outlooks into the future. When assessing the planned changes to our infrastructure and procedures, the database suggests the changes to be avoided far ahead of time. Smart Safety indicators are the future of the database. They will report themselves if they exceed the set threshold value, and it will be easy to track the root causes of events in them. Safety indicators are also the key to comparing the safety status with that of other airports. I see the systemic approach as the greatest benefit. The first step in the development of the SMS at the time was the drawing up of the SMS Manual, which clearly established all the rules of how to deal with airport operational safety in an organised fashion. It laid down the rules for how safety is to be managed on all fronts; from the top policy and commitment of the senior management and its subscription to safety as its priority, through its own bread and butter, the assurance of the operational safety with the tool provided by the SMS manual, to the repeated evaluation of the safety status at the airport. If there is one thing that has not changed regarding the subject of safety throughout the years, it is the eagle eyes watching out for runway incursion cases. This is a clear priority for the safety departments at airports around the world, and thus for us as well. We try to prevent unauthorised entries onto the runway, since they could lead to an accident through a sequence of random events or due to the failure of other safety barriers. The cause of the biggest aviation disasters in history is rightly constantly given prioritised attention. 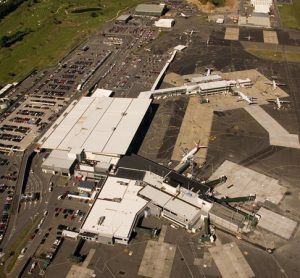 Runway Incursion type incidents remain, but the cause is visibly changing. The old, and from today’s point-of-view, imperfect technical equipment is a weakness that has already been overcome. Today’s risk is dominated by human error. Errors are most commonly made by crews, even in the most simple of situations in which they used to work well in the past. We are now intensively looking for the cause of this development. It may be the growing number of tasks that need to be performed while taxiing, the amount of data served to crews from all directions, the effort to make good time, fatigue, and the growing complexity of airports. We are even looking for causes relating to the very beginning of a pilot’s career. In the past, candidates for flying at civil aviation airline operators used to be more experienced people with a history of flying at aero clubs or in the military. 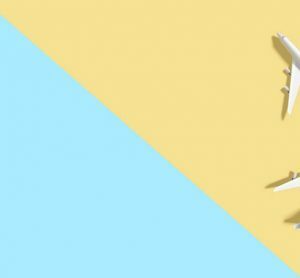 Today, the more common way to become a pilot is a quick course of going from zero directly to an airline transport pilot. 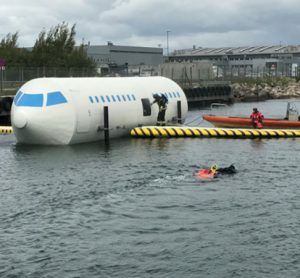 Some incidents at our airport and airports abroad suggest that this form of training is not sufficient for crews to fully master all the procedures. The most common human error in terms of runway safety is the failure to stop at the holding point of the runway. When investigating incidents, in most cases we find that the crew crossed the holding point in the mistaken belief that it received permission to do so. This is a very dangerous modern trend, and defence against it is complicated from the position of the infrastructure operator. Holding points already have above-standard markings today. More marking elements and information and command signs can be added, and information campaigns can be organised, but nothing will stop a crew which is taxiing in the belief that it has been authorised to cross the holding point. The only effective infrastructure measure would be the use of stop bars H24. However, this is still not a very common solution in Europe. The advantage today is that other, very advanced, technological safety barriers stand behind the human factor. Thanks to them, there is a high probability that runway incursion incidents will be immediately recognised and that there will thus be sufficient time to respond before there is any further exacerbation of the situation and endangerment of human life. 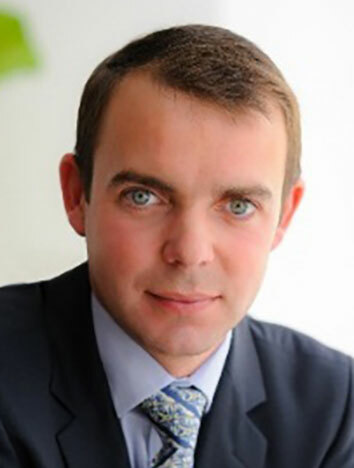 LIBOR KURZWEIL has a Ph.D. in Airport Operations from the Czech Technical University in Prague. He has worked at Prague Airport (LKPR/PRG) for 14 years; the first nine years in Airport Strategy, Capacity Planning and Development Department and the last five years as Director of Quality, Safety and Processes Management, i.e. the Safety Manager.